Check out the official trailer released today for the Sci-Fi movie "The Beyond". This film looks pretty cool. 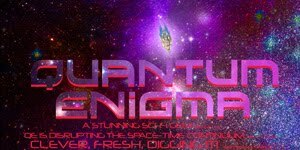 It seems to have similarities to Quantum Enigma comic book so I thought I would post it here. The Beyond - Official Release Trailer from Hasraf HaZ Dulull on Vimeo. Gravitas Ventures has picked up worldwide rights to The Beyond, a sci-fi thriller written and directed by Hasraf "HaZ" Dulull. The company is eyeing a December release date. The Beyond was produced by Dulull’s production shingle HaZ VFX, Scott Glassgold’s Ground Control Entertainment and Sector 99. 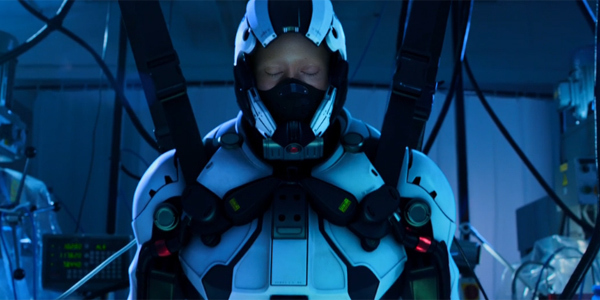 Dulull wrote, helmed, edited and handled most of the VFX, with support from the VFX houses with whom he had relationships. Paula Crickard (Calloused Hands, Winter) and Lee Murphy produced with Dulull. Glassgold and Craig Cohon served as executive producers. Gravitas' recent releases include Katie Holmes’ directorial debut, All We Had, and Elian, executive produced by Alex Gibney.